Dear friends, please note that Constantia Cottage Restaurant is closed between 1st April - 7th of April for Greek Easter. It is Mama and Papa's decision to do this in order to attend church services and embrace what they love doing. As children we have always respectfully enjoyed two Easters. 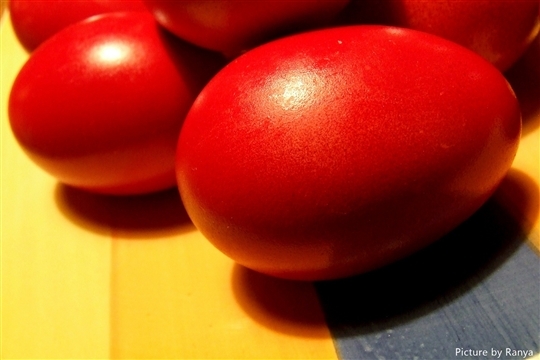 The formula for Easter—"The first Sunday after the first full moon on or after the vernal equinox"—is identical for both Western and Orthodox Easters, but the churches base the dates on different calendars: Western churches use the Gregorian calendar, the standard calendar for much of the world, and Orthodox churches use the older, Julian calendar. So Mama will be preparing flaounes and red eggs - Flaouna is a cheese-filled pastry from the island of Cyprus, which may include raisins or be garnished with sesame seeds. Flaounes are traditionally prepared for Easter by Orthodox Greeks. Thank you for your welcomed assistance as always.